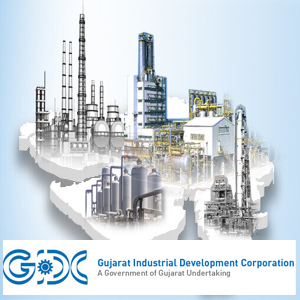 Gujarat Industrial Development Corporation (GIDC) will acquire 200 acre land in Dholera Special Investment Region (SIR) to promote investment in the ambitious project by MSMEs. The move is also in sync with Gujarat government’s outreach to big industries for investment in Dholera during the upcoming Vibrant Gujarat Summit. In the first phase, 200 acre land will be acquired and GIDC has been picked up for the purpose as it has more than six decades of experience in engaging with MSMEs. “GIDC is a trusted entity and its involvement will encourage MSMEs to come to Dholera from which they had been shying till now,” said an official privy to the matter. Of the total 44.5 square kilometre developable area in Dholera SIR, authorities are developing 50 per cent of it in the first phase. In other words, the first phase will have 5,600 acre land ready for industrial use. The Dholera SIR will be pumping around Rs 3,000 crore to develop infrastructure in the first phase, which is likely to be completed by September this year. Authorities also expect work to start on Ahmedabad-Dholera express highway in February, to be completed in two years. Government is also hopeful to begin the construction work of airport at Dholera this year, after getting required permissions. Electric vehicles manufacturing, pharmaceuticals, solar and wind power manufacturing and heavy engineering are some of the sectors government is keen to attract in the first phase. Chief Executive Officer of Dholera Special Investment Regional Development Authority (DSIRDA) Jai Prakash Shivahare said, “We are in touch with both GIDC and Industrial Extension Bureau (iNDEXTb) with both transferring inquiries to us.” He added that some industry associations have already expressed intent and their requirements are being worked out. Patwari said an area of 200 acres for the MSME can generate minimum 40,000 indirect and direct jobs.